Carl, a native of York, England, first came to the US in 2006, working soccer camps in the Carolinas, Tennessee, Virginia, and Maryland in ’06-07, then Illinois, Michigan, and Indiana (2010) before moving north to run camps in New England and Canada. Carl worked as a Club Trainer within both Wolcott Youth Soccer (CT), Windham Youth Soccer (NH) before been promoted to be a Director of Coaching for Wakefield (MA) Youth Soccer Association from March 2011-December 2012. With Wakefield, he created a coaching curriculum and converted a fall/spring program to year-round. In the UK, Carl began as a Junior Soccer Coach with Haxby JFC in York from 2003-06. He progressed to coaching the North Yorkshire Girls Center of Excellence U12’s from 2007-2010 full time, then 2010-2012 part time as he was back and forth to the US. When at home Carl would frequently run sessions as part of the FA Skills Coach program where soccer was taught to thousands of players within schools across North England. Carl was a professional youth player for Sunderland AFC after being awarded a youth contract from 2002-05. He was a starter on the U16 team. After his days with Sunderland, he became a semi-professional player for Pickering Town FC from 2005-’07, where his team finished 1st in the Northern League Premier Division. Carl tallied 10 goals and 20 assists during his first year with Pickering Town. Carl has been involved with Seacoast since 2012. 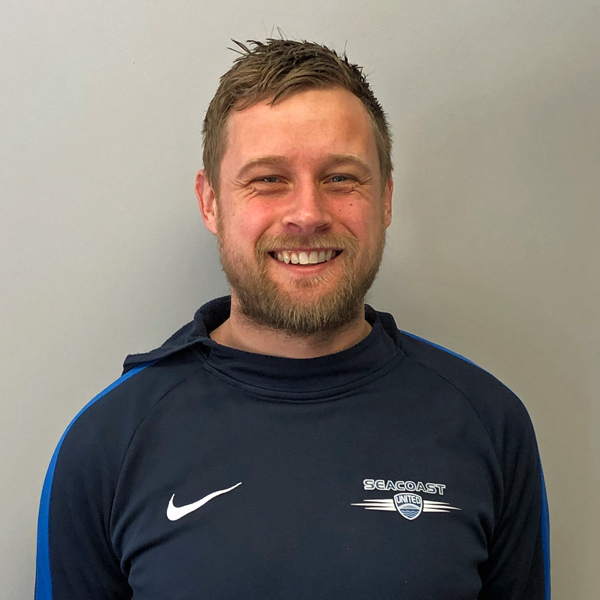 Initially brought over to help coach teams part time, he joined the club in a full-time role in 2013 and was handed the responsibility of been a Community Development Officer for Hampton working close with our partners Hampton Attack & Hampton Youth Association (HYA). Carl holds a UEFA B Coaching Certificate & a USSF C License. Carl is currently the Director of Operations for Seacoast United North Shore.